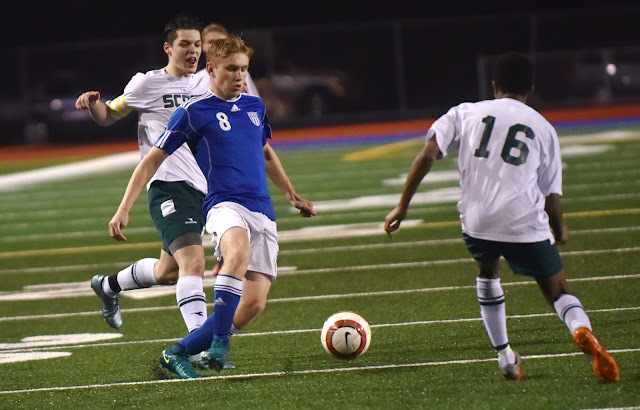 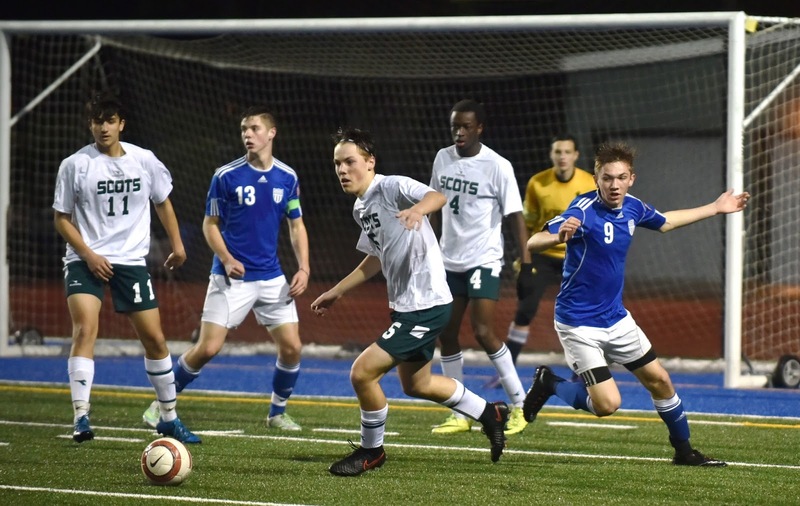 Shorecrest's #9 Elliot Misic defends as Shorewood's #17 Liam Ammador-Emmons brings the ball towards the sideline. 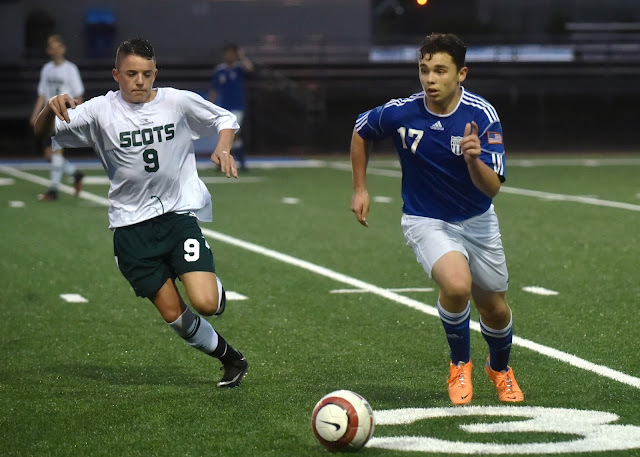 Thunderbirds Quinn Panek #9 and Emanue Abeye #4 battle the Scot's Finn Hoffmann #19 and Naseem Hag #11 for the ball. Shorewood's Jack Bong #13 and Quinn Panek #9 attempt on goal is stopped when Shorecrest's Brian Halvorson #5 moves to clears the ball. 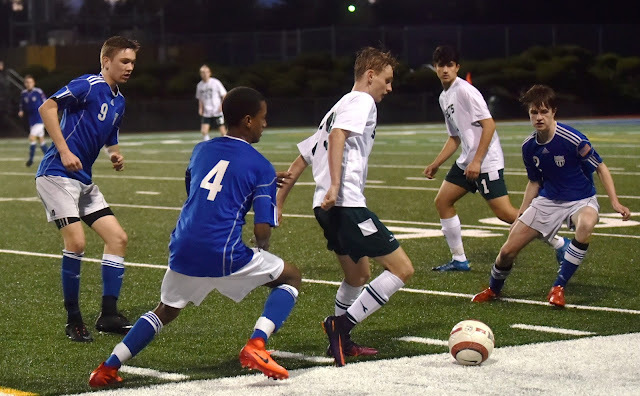 Brian's team mates Naseem Hag #11, Alaiyi Lawson #4, and goal keeper Carter Clasen watch. 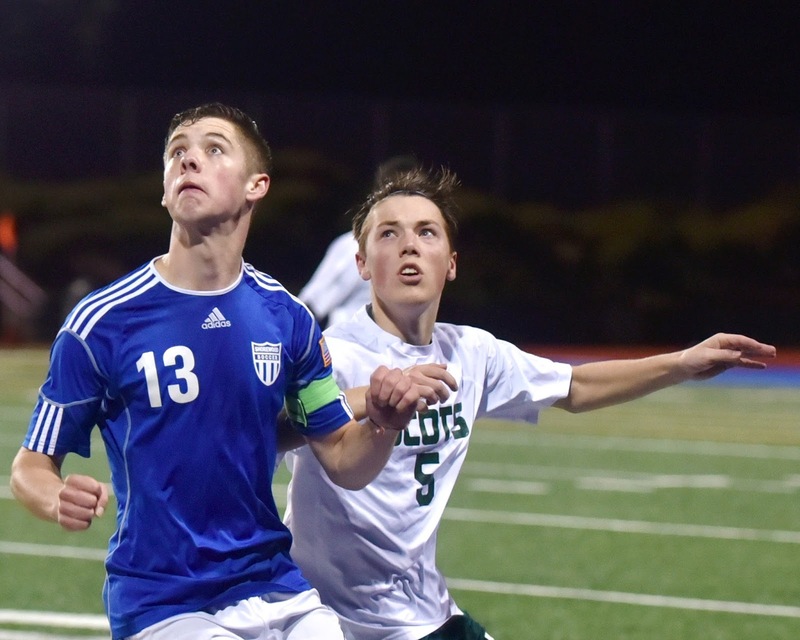 Shorewood's Jack Bong on left and Shorecrest's Brian Halvorson eye the ball. Late in the game Thunderbird Theo Steinmetz brings the ball up field while Scot players Rhys Kroehler and Mohamed Hassan defend.